The congregation of Beneficent Church has been dedicated to “doing good” since their founding in 1743. Beneficent’s Meeting House was originally constructed in 1809 as the second home of the congregation (after separating from the First Unitarian Church). 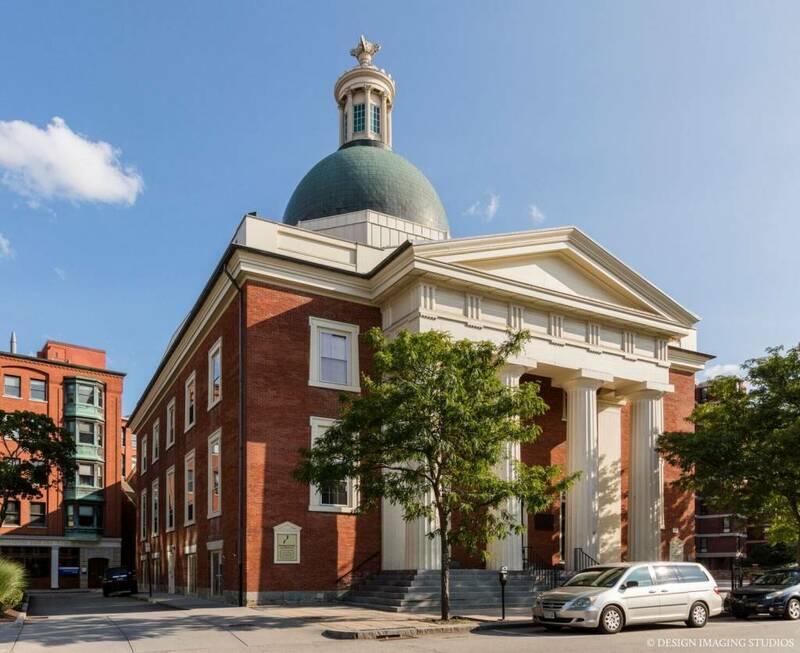 The Meeting House was later remodeled (1836) in the Greek-Revival style and the facade gained the prominent pediment; its grand colonnade still welcomes churchgoers today. The interior still retains much of its original appearance; one interior change in the 1836 renovation was a slight slanting of the pews for churchgoers’ comfort. An open and affirming church, Beneficent’s congregation welcomes everyone regardless of race, age, gender, sexual orientation, physical or mental ability, ethnicity, or language. 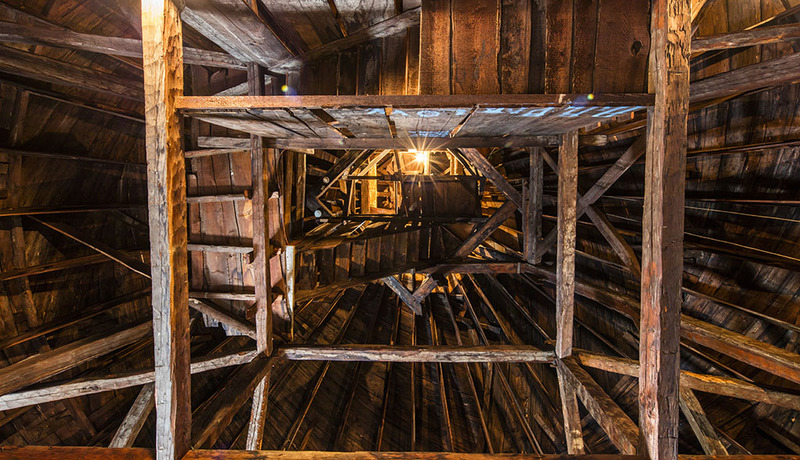 Climb into the church’s iconic copper dome for unique access to one of Providence’s greatest hidden spaces. 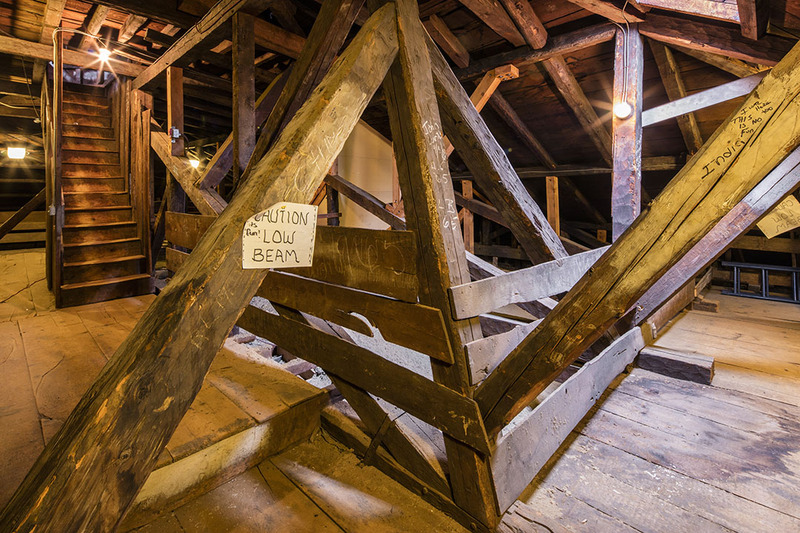 Explore highlights of the interior and exhibits of church history. Please note that space inside the dome is limited with lines expected. Dome access is not handicapped-accessible. Visitors to the dome must be at least 18 years of age.